Henry benefited immensely from starting boxing in his late teens, and this newfound passion soon found him leading the exercises for his club’s sessions. 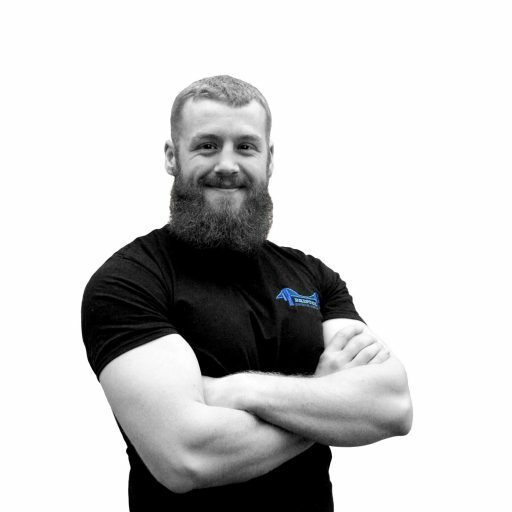 Keen to share the benefits of training he became a PT in 2009 and started reading up on nutrition. After implementing advice from ‘the Metabolic Typing Diet’ he suddenly gained around 5kgs of muscle whilst dropping several percent body-fat, curing his narcolepsy-like symptoms and anxiety – in just a few weeks. This began a fascination with individualising diet to the person. Since then Henry has helped hundreds of people dramatically transform their health and fitness, and has remained dedicated to learning the most effective methods to achieve results, through constant ‘theoretical’ learning; reading voraciously, and learning directly from the best through courses (pictured below is Charles Poliquin, arguably the worlds most successful strength coach) as well as from practical ‘in the trenches’ knowledge; trying a plethora of sports – with particular focus on Boxing, Powerlifting, Climbing and most recently Strongman.